Distracting U! : They Dumped Their Trash In The Ocean... See What Mother Nature Did In Return. Gorgeous! There is a beach in Fort Bragg, California, that is a battleground between Mother Nature and the people that lived in the area. For years, the citizens of Fort Bragg lacked a trash collection service. Since they lived right by the ocean, they thought that the obvious solution to their refuse problem would be to dump all of their garbage in the water. With reckless abandon, the townsfolk tossed all kinds of trash into the ocean. The beach soon earned the nickname, “The Dumps.” It wasn’t until the 1960s that town officials became concerned for the environment and tried to stop the flow of trash into the ocean. They worked to remove the garbage build-up, and found something incredible beneath all of the trash. For years, the water beat against the different kinds of trash being dumped. Glass, household appliances and even motor parts were discarded on the beach. The waves and weather conditions wore down the overwhelming amount of garbage in the water, creating millions of beautiful smooth rocks. It was a disgusting dump due to our carelessness, but nature corrected what humans ruined. 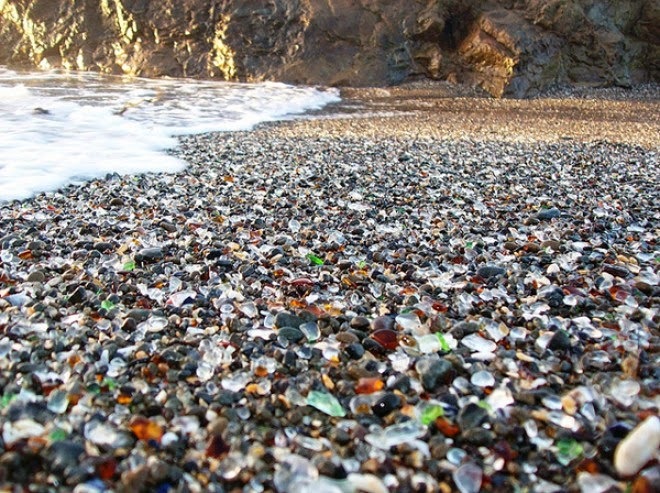 The beach’s moniker was soon changed from The Dump to The Glass Beach, a more attractive name for the now-beautiful beach. 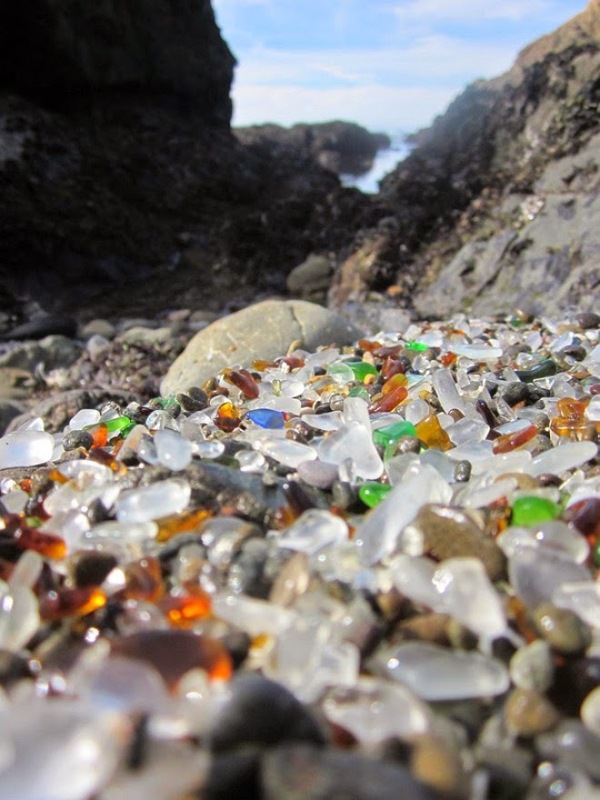 The Glass Beach and the surrounded twenty acres were purchased by the California State Park system and were incorporated into MacKerricher State Park. The miraculous beach was finally under the protection of the state. It’s hard to believe the short-sighted mistakes we were making that could have potentially ruined this beautiful spot. 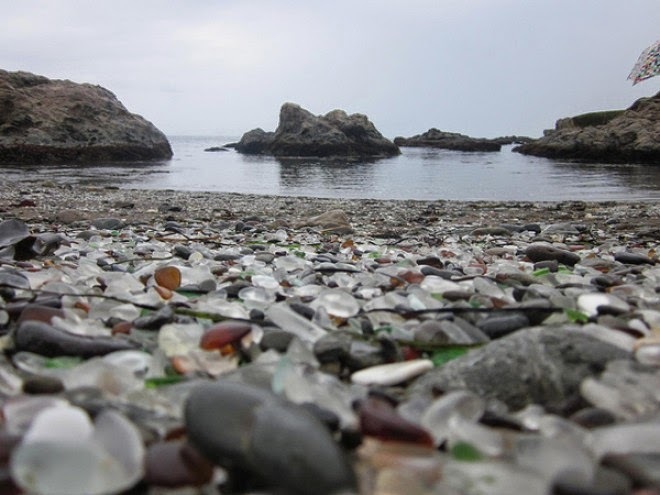 If you want to see the sea glass for yourself, you can drive to Fort Bragg yourself and be in awe of the power of nature. Even if we didn’t mean to pollute the Glass Beach how we did, it’s inspiring to see just how hard the earth can correct our mistakes.